Every team has one! 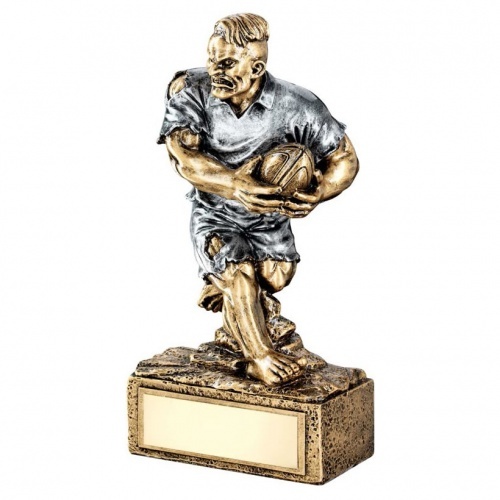 Reward the beast in your team with these novelty resin rugby trophies. Finished with an attractive silver and bronze colour, they feature a detailed figure of a barefoot rugby player with tattered kit. Standing 6.75in tall (including base), these rugby beast figure trophies include an engraving plaque and are offered with text and/or logo engraving options.